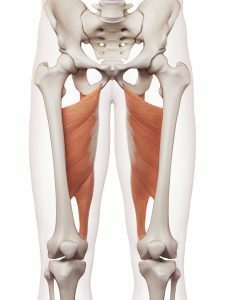 The piriformis muscle is a small muscle located deep in the buttock (behind the gluteus maximus) and it connects the lower back to the top of the femur (thighbone). It serves to rotate the hip and turn the leg and foot outward. 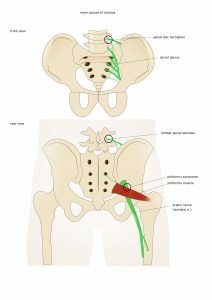 Piriformis syndrome is a condition in which the piriformis muscle, located in the buttock region, spasms and causes buttock pain. 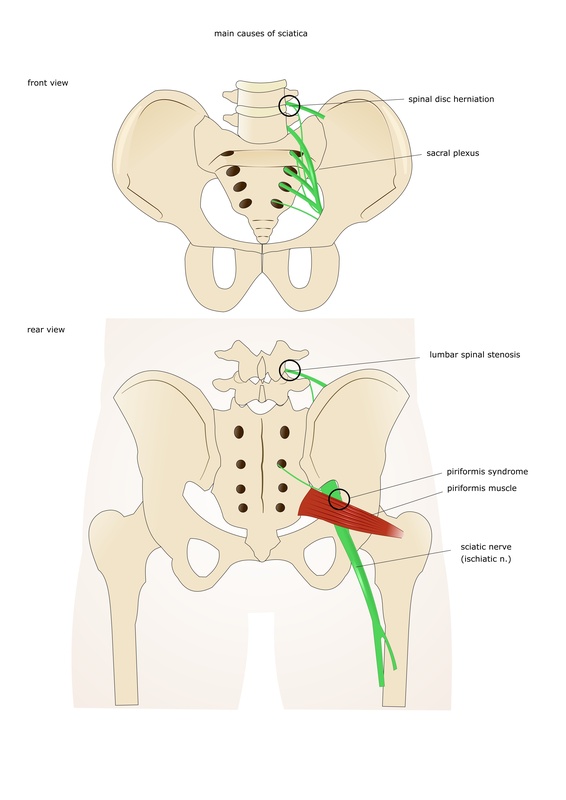 The piriformis muscle can also irritate the nearby sciatic nerve. 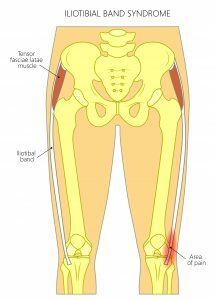 This in turn causes pain, numbness and tingling along the back of the leg and into the foot (similar to sciatic pain). 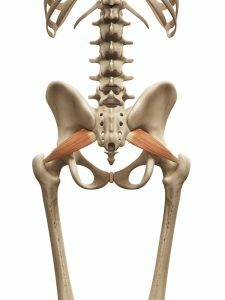 Most commonly, patients describe acute tenderness in the buttock and sciatic-like pain running down the back of the thigh, calf and foot. Typical Symptoms; Pain at the front of the thigh that, depending on the severity of the trauma, will cause pain on weight bearing. 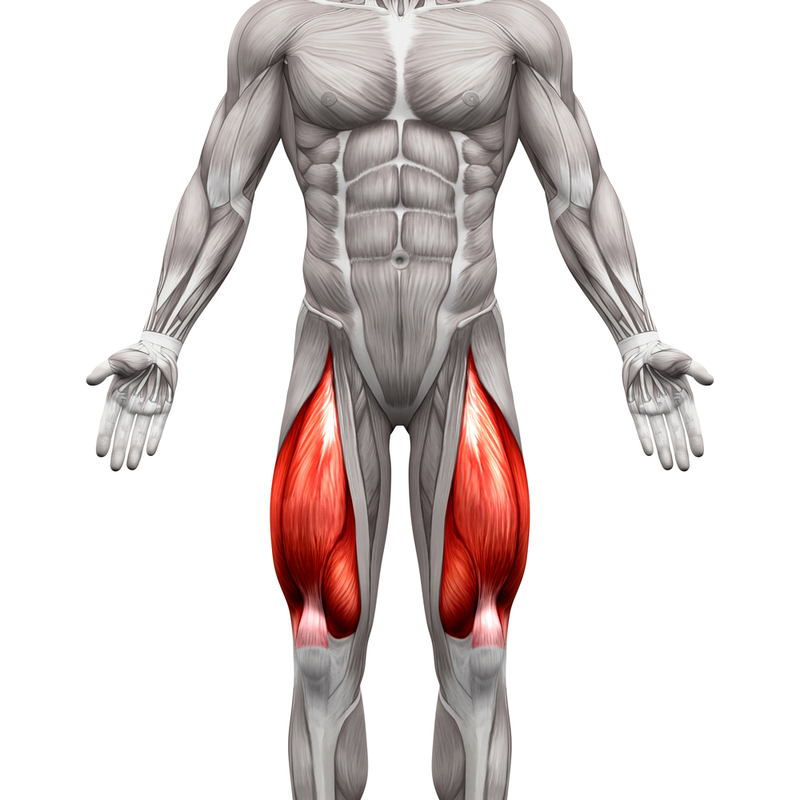 The quadriceps muscle group consists of vastus lateralis, vastus medialis, vastus intermedius and rectus femoris. 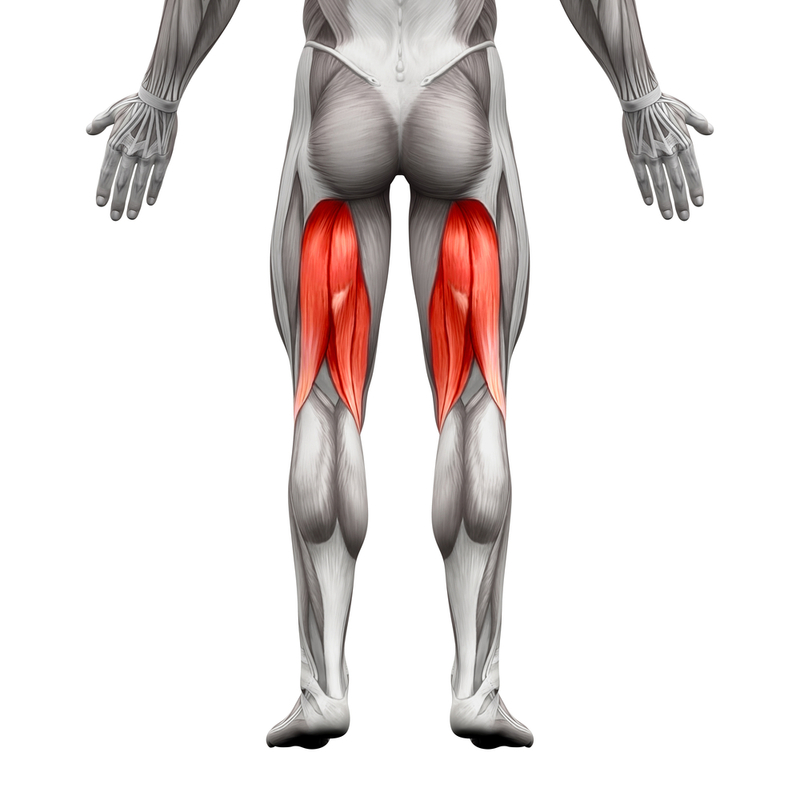 A thigh strain (or quadriceps strain) is a tear/strain in any one of these muscles at the front of the thigh. Injuries often occur with actions that generate large forces in the thigh such as kicking a ball or jumping. As with any muscle injury, damage can vary from a mild strain to a full thickness tear depending on the forces involved. Symptoms of a Grade 1 quadriceps thigh strain are not always serious enough to stop activities at the time of injury. Grade 2 symptoms are more severe and you would be aware of a definite sudden sharp pain when active. Symptoms would typically make walking difficult and swelling or mild bruising would be noticeable. Pain would be obvious when pressing on the suspected location of the muscle tear. A Grade 3 full thickness tear consists of a severe, debilitating sudden pain. A static muscle contraction would cause intense pain and a bulge in the muscle would be obvious. These injuries can imply a cessation in any given activity from anywhere between 6 to 12 weeks depending on severity. Strains are initially treated with rest, ice, compression, and elevation (known as RICE) and medications to reduce inflammation can be useful under a GP’s guidance. Therapy is useful in order to stimulate the healing process and increase range of movement. The hamstring muscle group comprises three main muscles. These are semitendinosus, semimembranosus and biceps femoris. Their job is to bend the knee and extend the hip. Injuries to the hamstring muscles typically occur either through sudden acceleration or deceleration or through a fast stretching related type movement. These scenarios will usually manifest as a sudden sharp pain that may have varying consequences depending on the exact related forces behind the initial movement. Strains are initially treated with rest, ice, compression, and elevation (known as RICE) and medications to reduce inflammation. Injuries may require a degree of therapy in order to stimulate the healing process and increase range of movement. These injuries should gradually improve and a return to normal function should be possible within a few weeks unless they are full tendon thickness tears. 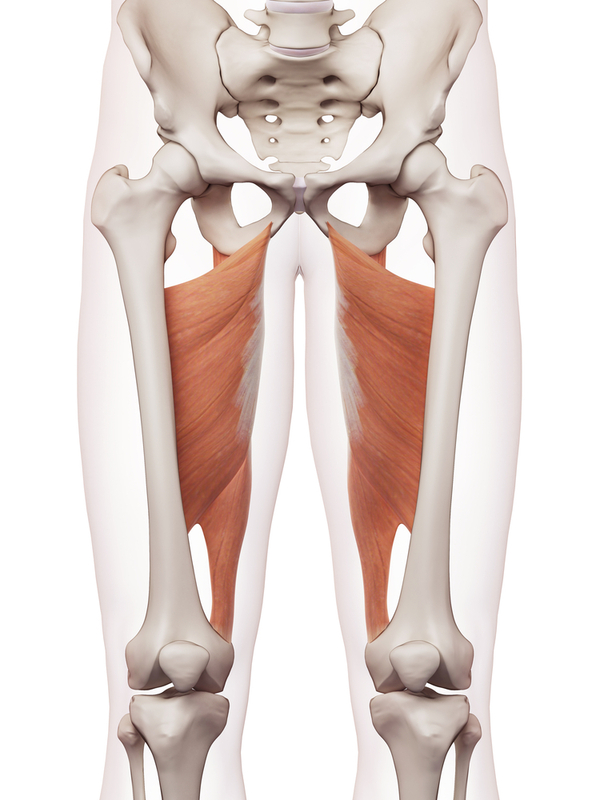 The groin muscles are the fan-like muscles situated in the upper inner thigh that serve to move the leg from an outside to an inside position. The muscles are known collectively as the adductor muscle group and consist of six muscles that bridge the anatomical space from the pelvis to the inner part of the femur (thigh bone). Groin strains often involve the primary adductor muscle called Adductor Longus. Typical Symptoms; Any movement of the knee (and, therefore, running) depending on severity can become painful. IT band pain can be severe. Ilio-tibial Band Syndrome (ITBS) is one of the most common overuse injuries among runners. It happens when the iliotibial band, the ligament that runs down the outside of the thigh from the hip to the shin, is tight or inflamed. 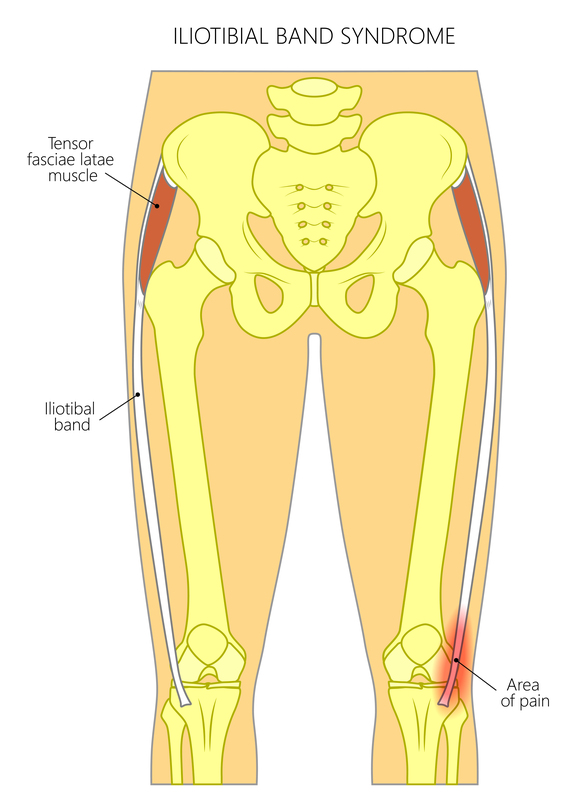 The ITB band attaches to the knee and helps stabilize and move the joint. When ITB isn’t working properly, movement of the knee (and therefore running) becomes painful. 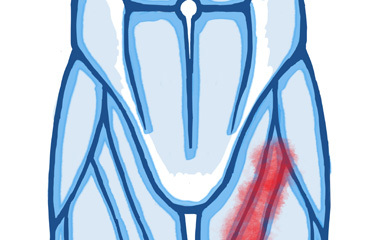 ITB pain can be severe enough to completely sideline a runner for weeks, or even longer. Because the most notable symptom is typically swelling and pain on the outside of the knee or hip many runners mistakenly think they have a specific hip or knee injury. 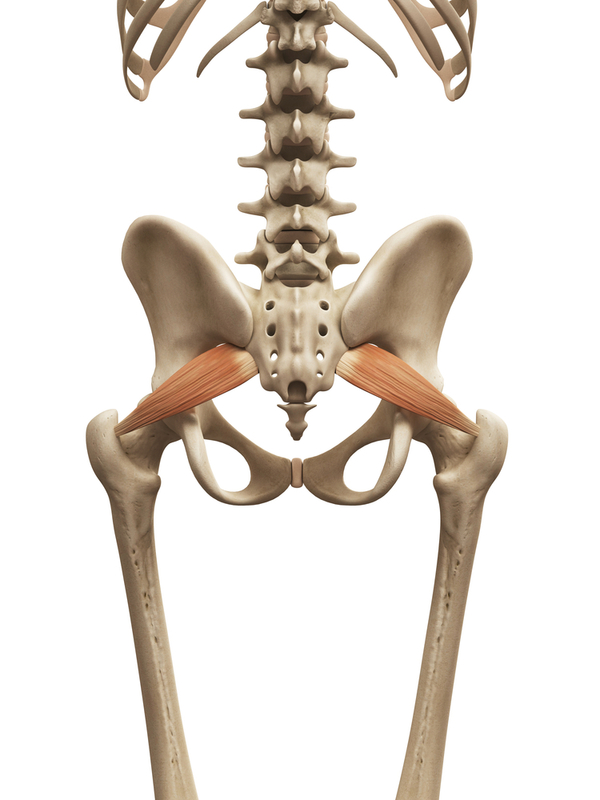 The best way to tell if you have ITBS is to bend your knee at a 45-degree angle. If you have an IT band problem, you’ll feel pain on the outside of the knee. Once you notice ITB pain, the best way to get rid of it for good is to rest immediately and then cross-train. Swimming, pool running, cycling, and rowing are all fine. Stretching will also help, as will ice or heat and ultrasound.